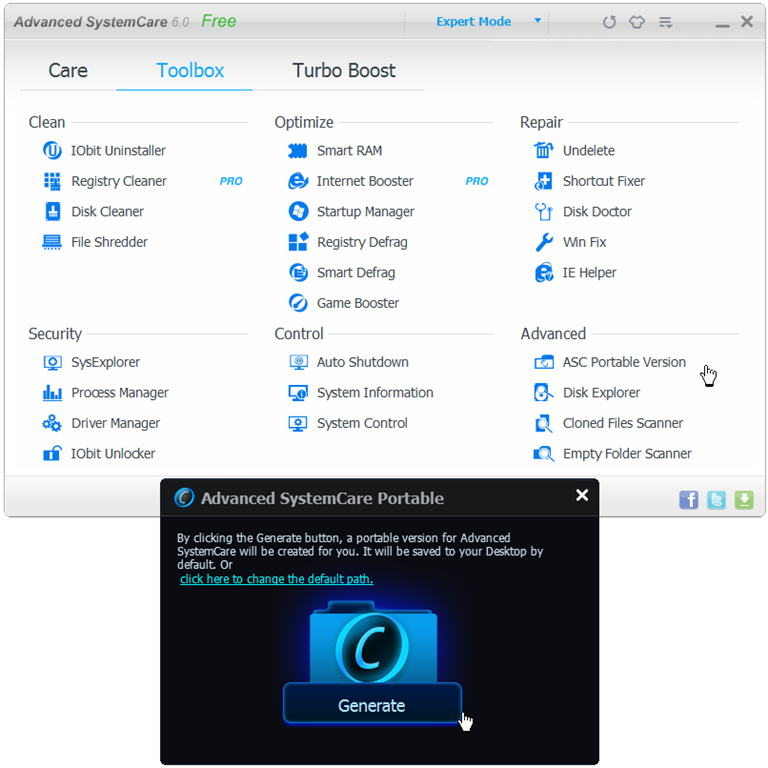 Some months ago, IObit asked that I take a look at their latest Advanced System Care – Version 6 (free edition). Since I’ve reviewed IObit’s various applications as far back as 5 years ago (ancient history in Technology/Internet time) – and, since I’ve generally rated the company’s free offerings at the high end of the scale, it was easy to say “Yes”. For this particular review though, it was time to do something a little different. Not only would I run with the application for several months (as opposed to my normal test period of two weeks, or so) – but, three of my “I’m only a regular user” friends would run with it as well. There was no miracle transformation during the time that I worked with my small group. They did not magically turn into “super techs.” But, it’s fair to say, that each of them has a better understanding of the relationship between various parts of their OS, and the need to keep the OS neat and tidy. 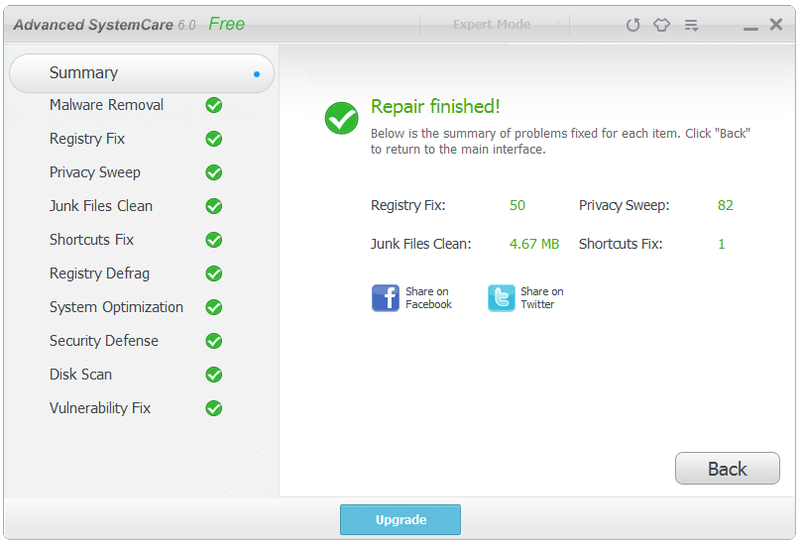 Equally as important, at least for this review, was the unanimous agreement (in this small friendly sample), that Advanced System Care, when run regularly, improved their computer experience. But did it? Let’s find out. Installation was fast and clean and did not lead to the expected (from the group) – “what’s this” or “what does this mean”, or……………..
As you’ll see in the following screen shots the GUI is relatively uncluttered and straightforward. 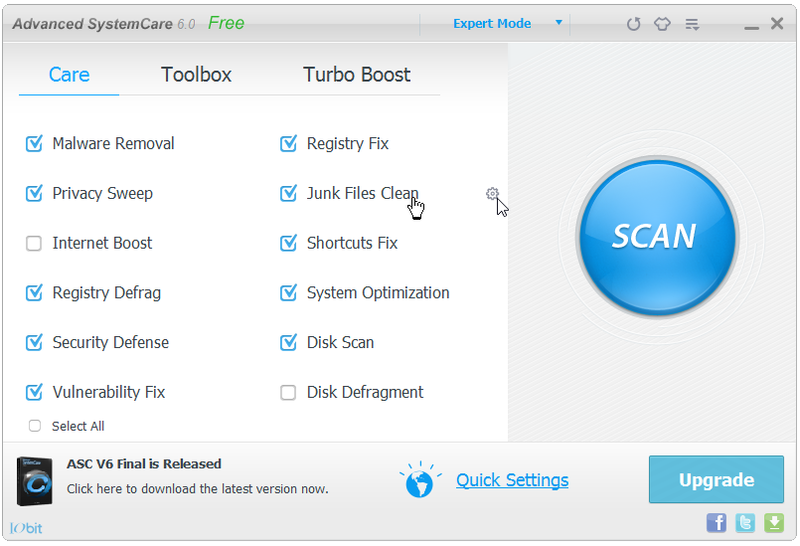 The application is broken down into three modules – Care – Toolbox – and, Turbo Boost, as shown below. Selecting specific settings to apply to a particular action/s can be accomplished by pointing to an item. If the item can be selected, a settings icon will appear as shown below at the arrow. Across the board, the group found this method awkward, easy to miss, and not instinctive. The settings menu allows for a considerable degree of choice. Participants in the test found that choosing which repairs to select was, in most instances, easy. That’s not to say, that the occasional phone call wasn’t required. But, that’s a matter of user experience as opposed to a shortfall in the application. The results of a quick scan (less than a minute on a relatively clean system), are shown below. 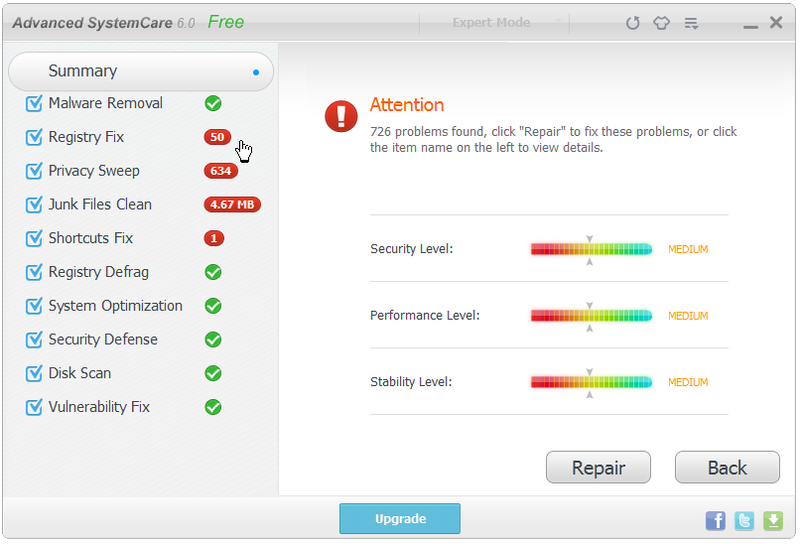 Users will have the option of selecting “automatic repair” prior to running the scan. Less experienced users should exercise caution. Clicking on repair, in this example, completed the job in less than 30 seconds. Who makes mistakes? Me, you – we all do! 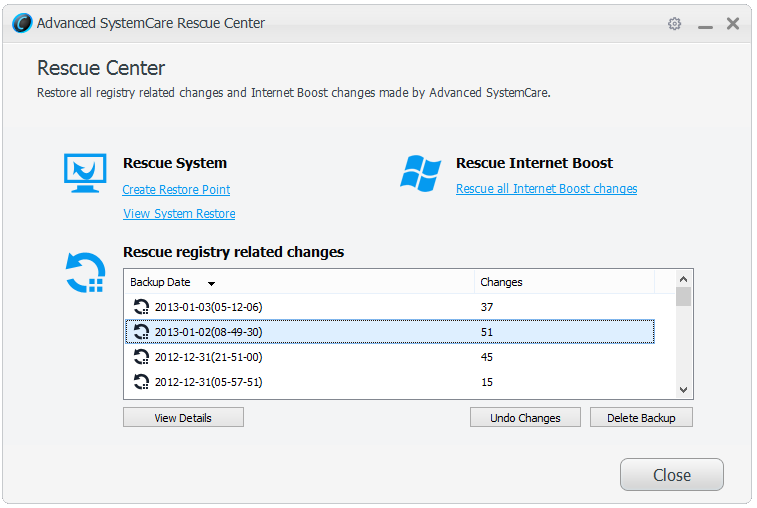 IObit, recognizing this, has built in a safeguard – the Rescue Center. Each time a cleaning operation is launched, the first process is the creation of a backup point so that Registry, and Internet changes, can be reversed if necessary. From the Quick Settings menu, clicking on “Activate all functions” ………. Keeping in mind that this is a FREE product, I must admit to being astonished by the negativity generated on many forums by this teaser. I wonder how these people respond to ads on TV, or in their newspaper – items that they’ve paid for. The Toolbox is chock full of goodies (lots of goodies) – some of which are in fact, built in OS system tools. Still, having access to a wide range of tools, all in one place, is a bonus. More advanced users who like to carry around their “IT Toolbox” on their keychain (on a USB stick, of course ) should find the portable tool creation applet worthwhile. On the whole, this application does what it says it will do – and, it’s fast. But, I will mark it down for a rather convoluted settings menu access. Participating in an application test was, I think, a bit of a thrill for my guys – particularly one in which (HELP!) was just a call away. What surprised me was, just how quickly folks grasped the fundamentals with just a wee bit of help. Overall, participants were pleasantly surprised at both the built-in functionality of the application, and the ease of use. And, in what may come as a surprise to more experienced users – participants were astonished at the availability of such a high quality application for FREE. System requirements: Windows 8, Windows 7, Vista, XP and 2000. Languages: English, Arabic, Belarusian, Czech, ChineseSimp, ChineseTrad, Dutch, French, German, Hungarian, Italian, Japanese, Korean, Portuguese(PT-BR), Romanian, Russian, Serbian (cyrillic), Serbian (latin), Slovenian, Spanish, Turkish, Vietnamese. I happen to like their Mobil Care product on my Android Smart Phone. Nice endorsement for one of IObit’s cross products – thanks for that. Says something about their vision. That’s always a good thing. Incidentally, ASC has been downloaded (all versions), over 100 M times on CNET alone. Great! We need more of that – friends helping each other out. I installed ASC, on your recommendation, a couple of years ago. Subsequently I upgraded to the Pro version as I liked the software so much. 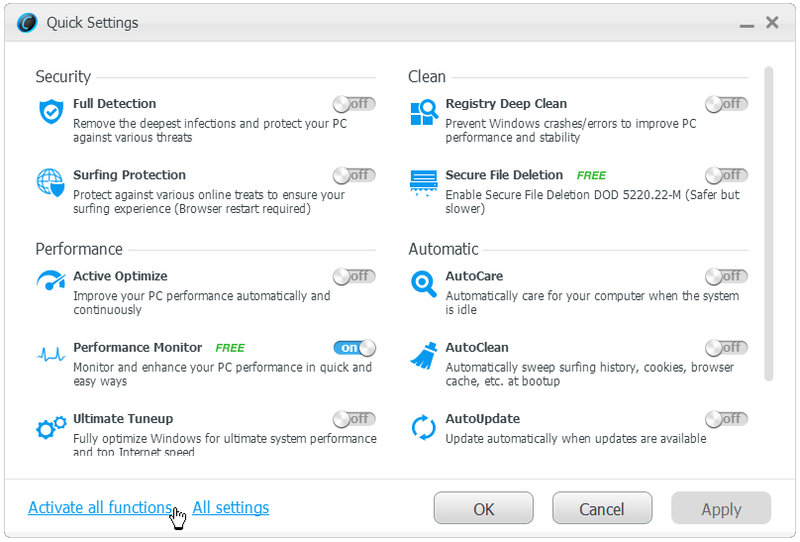 I don’t use it every day but, when something with a bit more oomph than CCleaner seems appropriate, I give it a spin. So far it has kept everything running pretty smoothly (he said, tempting fate). Definitely a worthwhile addition to the utility arsenal. Thanks for that – good to get your agreement on this.